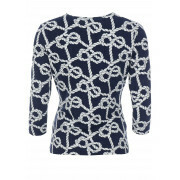 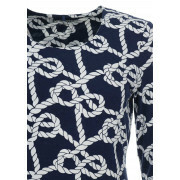 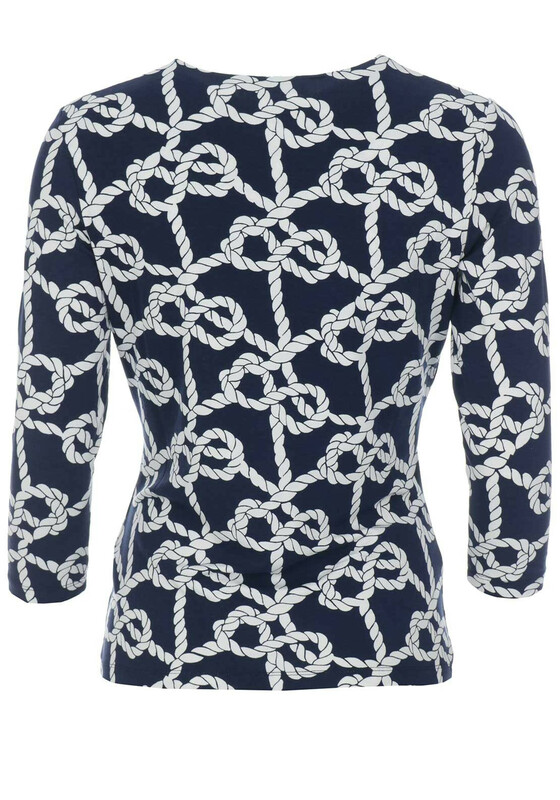 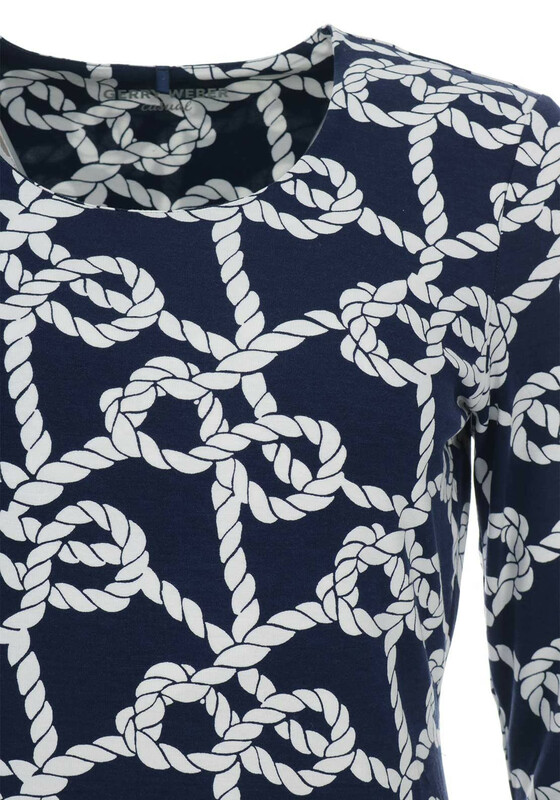 A quirky rope print adds a maritime influence to this navy top from Gerry Weber. 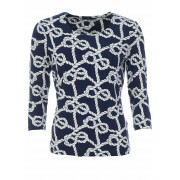 A great choice to wear with a padded gilet and jeans. 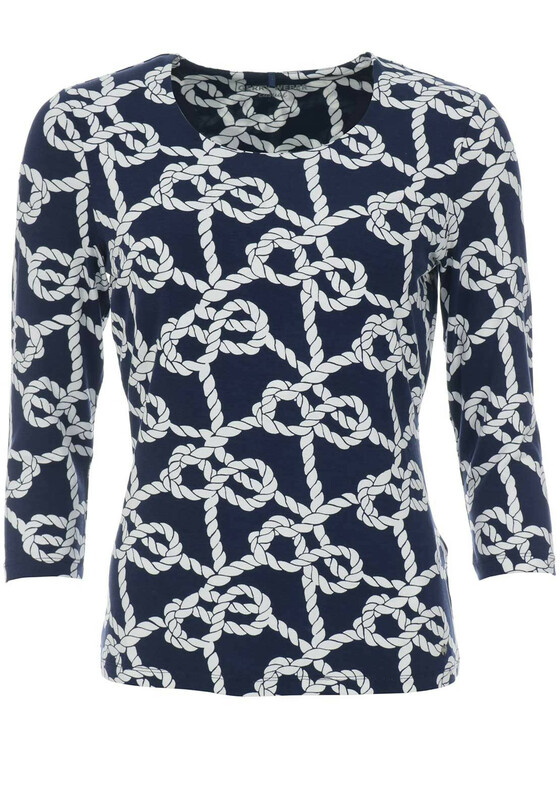 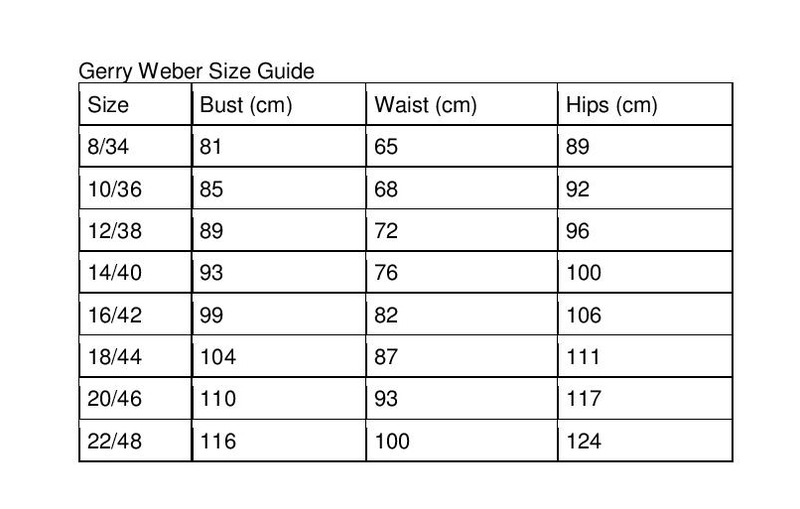 Crafted from soft and comfortable jersey fabric and styled with cropped sleeves and a fitted shape.